Sources said Behrampur is one of the few constituencies where Mamata Banerjee will be holding a total of three rallies for election 2019. West Bengal Chief Minister Mamata Banerjee on Monday attacked the BJP as usual but also the Congress, warning it against being "too proud of itself" as a national party. "Don't be proud that only you and BJP are national parties. 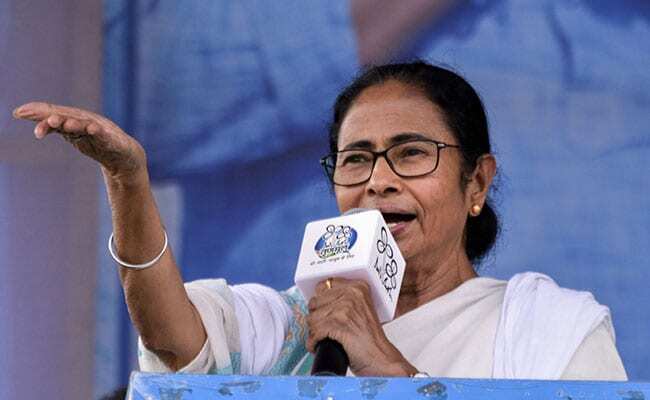 The Trinamool is also a national party and after the elections it is regional parties that will decide who will form government in Delhi," Ms Banerjee said at Beldanga in Behrampur constituency, where lawmaker Adhir Chowdhury is a fourth-term Congress parliamentarian. Ms Banerjee wants him defeated. 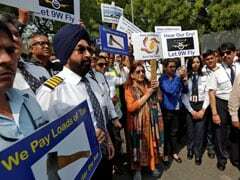 He had criticised the chief minister in parliament recently so severely that Ms Banerjee complained to UPA chairperson Sonia Gandhi against him. Sources said Behrampur is one of the few constituencies where Ms Banerjee will be holding a total of three election rallies. Monday's was the first. On stage with her was her candidate Anupam Sarkar, formerly a loyalist of Adhir Chowdhury but who was wooed away by the Trinamool Congress. Mr Sarkar's nickname is David, and Behrampur is set for a David vs Goliath fight. Will Berhampur buck the legend? David says certainly so. "I also have the full support of Mamata Banerjee, the Trinamool Congress and Subhendu Adhikari and I have no doubt. I will be able to defeat the Congress candidate," Mr Sarkar said. Why did he break away from Mr Chowdhury? "He constantly humiliated me and other party workers. We were the pillars of the Congress pyramid in Berhampur. We have now joined the Trinamool. So the pyramid is about to topple over," Mr Sarkar said. Mr Chowdhury is no pushover. He said he doesn't need pillars to support him, only people. He is so confident, he is even campaigning in other seats for other Congress candidates as well. "Trinamool will get no entry into Murshidabad district this time as well," he said. "We will bury the Trinamool here." Murshidabad district has three Lok Sabha seats. Jangipur's parliamentarian is Congress's Abhijit Mukherjee, son of former President Pranab Mukherjee. The CPI(M) had won the Murshidabad seat last time. This time, it will see a four-cornered contest and Chowdhury hopes the Congress will win the seat back. Ms Banerjee is so determined to make inroads into Behrampur and oust Mr Chowdhury that she sent her right-hand and senior minister Subhendu Adhikari to solve the problem of the elusive Behrampur seat.